The Salarpuria Group was established in 1986 with principalfocus on developing high-quality constructions. Over the years the company has gained expertise in the fields of Construction, Architecture, Real Estate, Construction Management, Facility and Infrastructure Management and Finance. The developers are recognised for offering quality at best value. In past, they have constructed IT parks, retail outlets, premium residential buildings and elite business centres. The firms latest residential offering is Salarpuria Sattva Park Cubix. The project is located at Devanahalli in Bangalore. Bangalore is a commercially important city of India. The megacity is home to numerous IT and ITES companies. It has increased in its importance with its development in various fields. The real estate demands are high, and several recognised names are working on projects across the city. Devanahalli is a small and a quiet locality of Bangalore. Several large IT and business parks have been planned in the area. Located on NH-7 Bangalore- Highway the region has great connectivity with the surrounding area. The region is high in demand due its proximity with areas of K R Puram, Nehru Nagar, Hebbal and Outer Ring Road, etc. The grand project of Salarpuria Sattva Park Cubix Bangalore spans over 18.18 acres of prime land. The project encompasses 7 blocks of residential towers with ground plus 14 floors. A total 1620 units in the variations of 1, 2, 2.5 and 3 BHK sets have been planned in the complex. The total area covered by the 1 BHK set is 655 sq.ft. and it will cost about Rs. 26.20 lakhs. The 2 BHK sets spans over 990 sq.ft. and have their prices set around Rs. 39.60 lakhs. The 2.5 BHK sets cover 1274 sq.ft. and cost about Rs. 50.96 lakhs and the 3 BHK sets span over 1479 sq.ft. and cost about Rs. 59.16 lakhs. These apartments are intelligently designed for functionality and grace. This project is the hub of various marvelous features such as- squash court, gymnasium, yoga/meditation, party hall, library/reading lounge, cricket practice nets, beach volleyball court, outdoor gym, jogging track, spaces for senior citizens, rock climbing wall, etc. Park Cubix is the mixed enormous development of 18.18 acres. 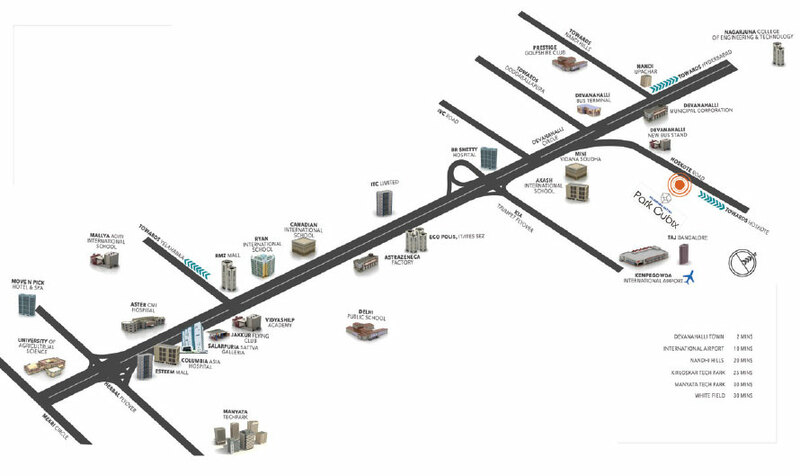 This comprehensive development is incorporated of retail, office spaces, and multiplexes. A unique set of amenities provided in the complex including, clubhouse, meditation centre, kids’ play area, swimming pool, gymnasium, day care centre, ATM, and many more. Provisions have been made for 24-hour water supply and power backup facilities in the estate. 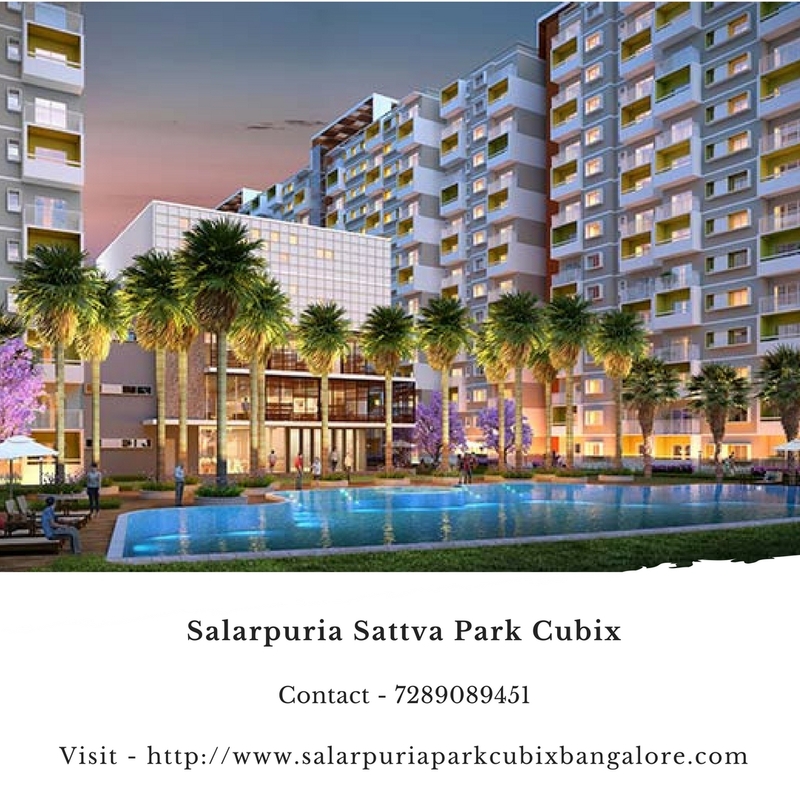 The Salarpuria Sattva Park Cubix price are set to be affordable. The leisure time facilities offered in the estate include, rock climbing wall, cognitive play, organic farms and more. The outdoors are adorned with landscaped gardens and interactive water jets.